The AHNRC is open to the public and is used as a resource base by the local community, school groups, land care groups and teachers. Check if you can reduce your home energy bills. AHNRC now has a Home Energy Audit Kit available for loan, so you can test your electrical appliances and energy use. A home energy audit using the simple kit and audit checklist will help you to understand where you use energy in your home and where you may be able to make saving. Contact AHNRC for more details. The AHNRC maintains a small specialised reference library and range of DVDs, which members can access. We also have a herbarium of local plant species. There is a wide range of free brochures and fact sheets also available covering topics of interest to the local community. 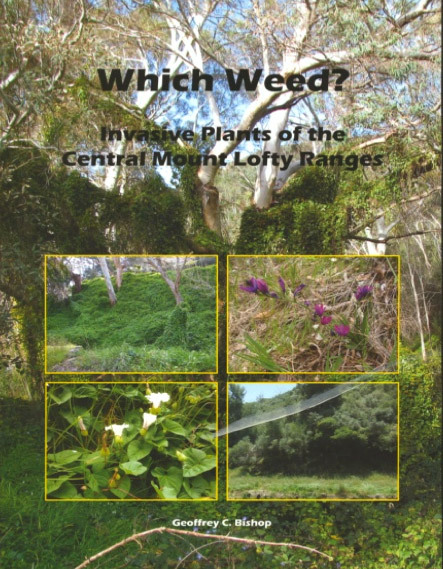 Available at the AHNRC, this is a comprehensive pictorial guide to help identify some of the environmental weeds found in the central Mt Lofty Ranges. Full colour photographs and detailed plant descriptions help to identify the species. The book was compiled by Dr Geoffrey Bishop supported by a grant from Caring For Our Country and the Adelaide & Mt Lofty Ranges Natural Resources Management Board. 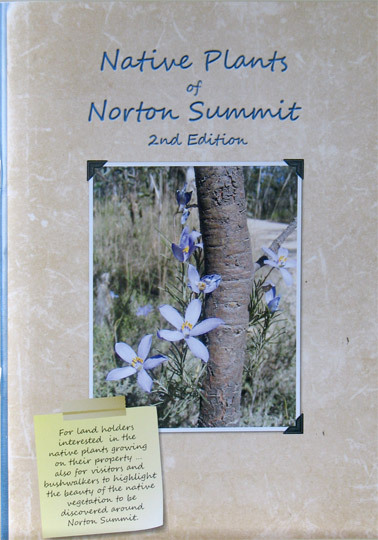 Designed to help identify the local native species for new residents, bushwalkers and students, this publication is available from AHNRC. It includes colour photographs and simple plant descriptions. Volunteers helped to produce the booklet that was funded by a grant from the Adelaide & Mt Lofty Ranges Natural Resources Management Board.